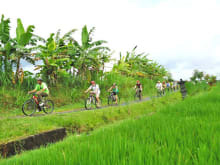 The Banyan Tree Bike Tours is a Balinese owned and operated business dedicated to showing visitor Bali's amazing culture and countryside. It started in 2008 and was developed by Ketut Bagiada who had worked in the tourism industry for many years taking the tracks and trails of many touring companies before. Omg! This was by far the scariest activity ! I say that because I haven’t rode a bike in over 20 years. The instructors were VERY HELPFUL AND PATIENT as I struggled throughout the course. I enjoyed this bike tour IMMENSELY ! 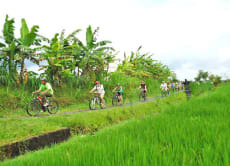 Joining cycling tour in Ubud is a must, we had a really great time. 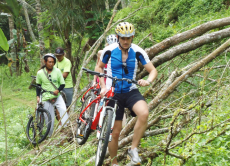 Our host is very accomodating, though there were only 2 of us joining, Mr Bagi didnt mind to set up cycling tour for us. Our guide Mr Muchsin is very friendly and helpful. During the trip, we also got a bit cultural explanation on how local people life and interact from our guide. Pick up and drop off time was also punctual, no trouble during the trip. 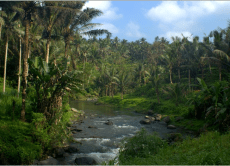 We will take this tour next time visiting Ubud. Thanks. A great way to see it all in one day, rice fields, monkey temple, spice tasting and riding around local villages at a cruisy pace. Loved it.